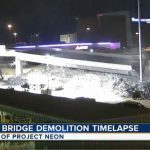 Project Neon is a $1 billion widening of Interstate 15. 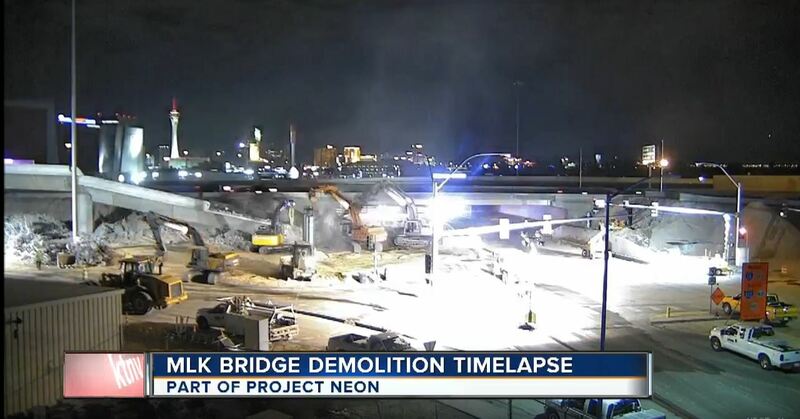 In order to create room for the widening the flyover ramp over Symphony Park Avenue was demolished and reconstructed. Demolition was completed in a weekend. The bridge was designed and built using seismic standards; it had to be deconstructed without impacting the adjacent span and pier. 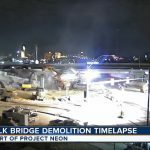 FINLEY was responsible for the concept, temporary works design, analysis, and deconstruction sequence for the deconstruction of this 180 ft. long, 17 ft. tall segmental bridge. 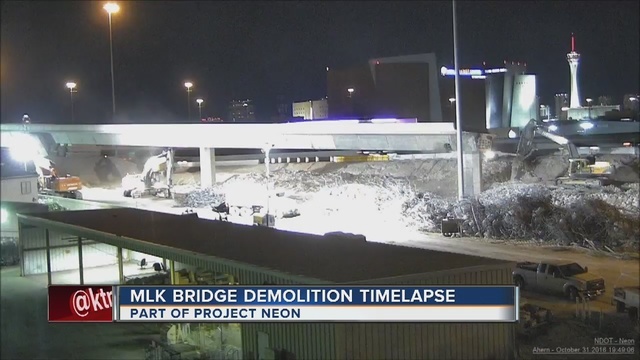 Click here to see the full demolition of the I-940 Ramp NW Bridge.